The Society of Animal Artists' Annual Exhibition was held at the beautiful Museum of Western & Wildlife Art in St. Petersburg, FL which made this award extra special. 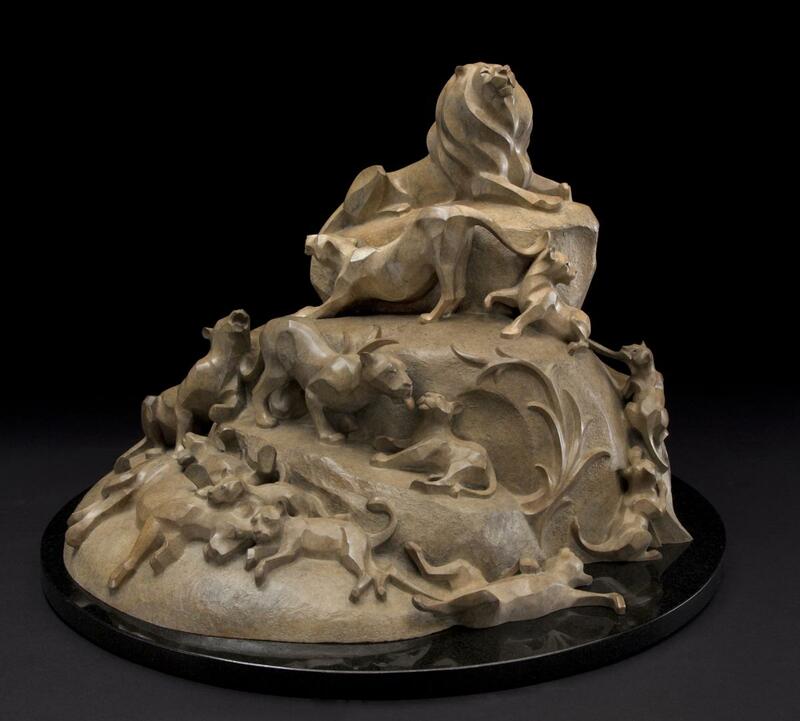 It was presented for "The Hunters" which is the second in my series of sculptures commenting of various aspects of man's relationship with animals. 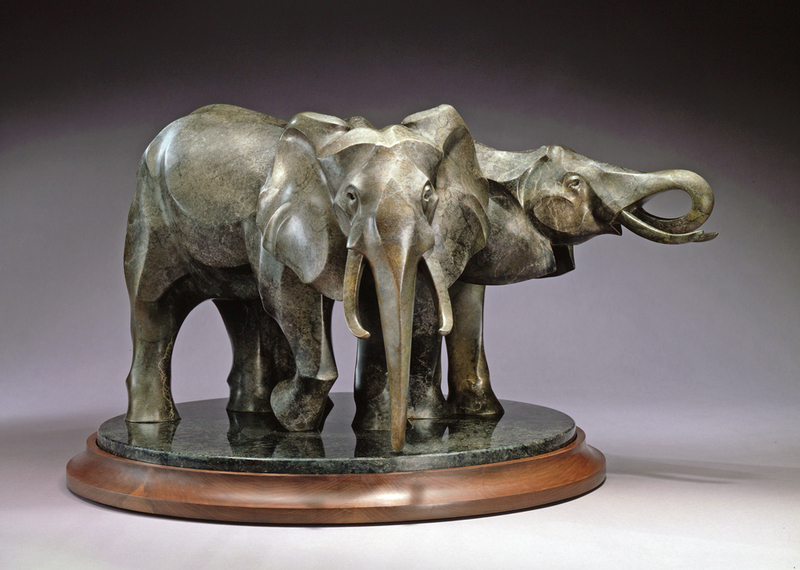 The Breckenridge Fine Arts Center agreed to waive the requirement that bronze limited edition pieces entered in their Annual Juried Show be created within the last three years and so accepted my "At The Waterhole" into this year's show. Then, with the addition of selecting it for this very special award, I feel they were acknowledging that an artwork that deserves recognition retains that distinction for more than three years. I am honored and grateful to the Breckenridge Fine Arts center for this acknowledgement. Artists for Conservation 2017 Annual: Best of Show for Sculpture and Medal of Excellence for Ancient Truce. 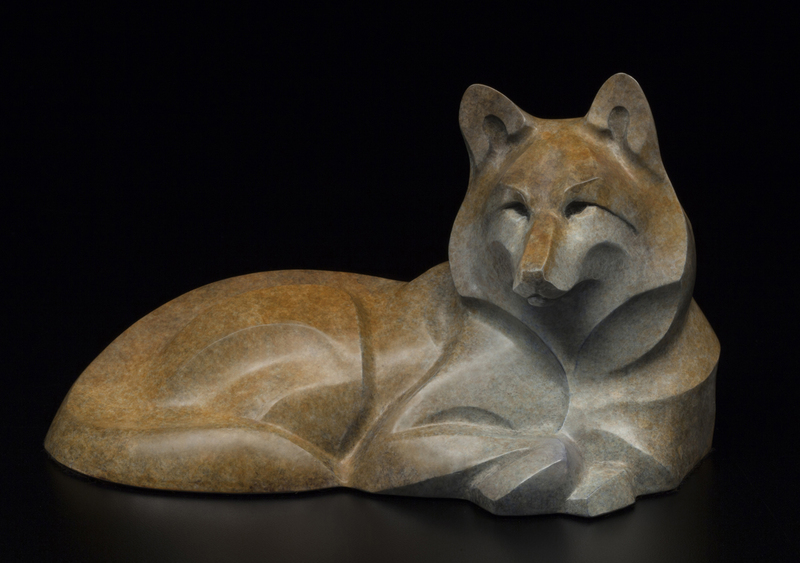 Artists for Conservation 2016 Annual: Best in Show for Sculpture for Awakening Pride. 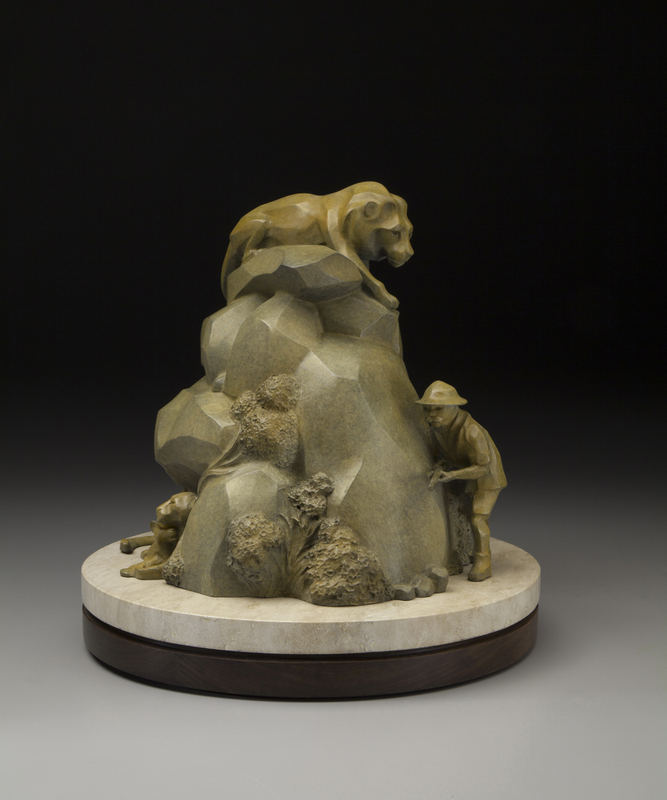 Bighorn Rendezvous, Brinton Museum: President's Choice Award for Breaking Trail. This award was chosen by the president of the Northwest Rendezvous Group and the Brinton Museum Curator. 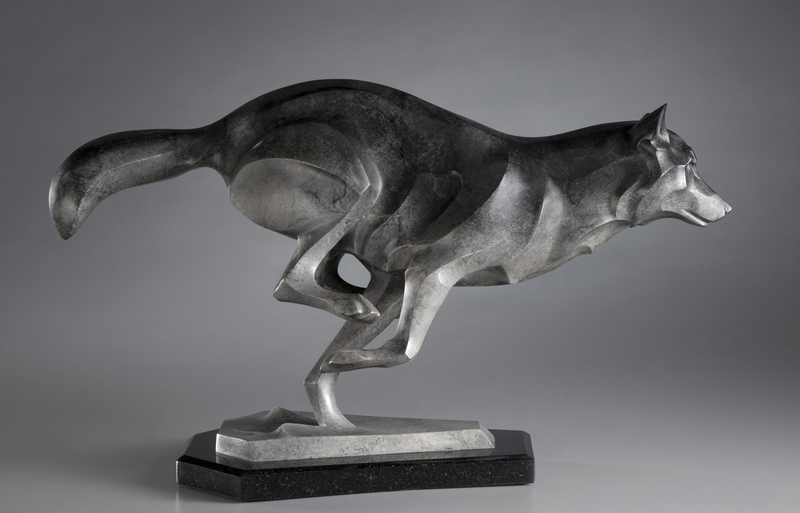 The American Women Artists 2015 "Master & Signature Members" show was held at Bonner David Galleries in Scottsdale, AZ where my sculpture, "Settled In", garnered the gallery's Purchase Award and was presented to the Scottsdale Museum of the West for their permanent collection. 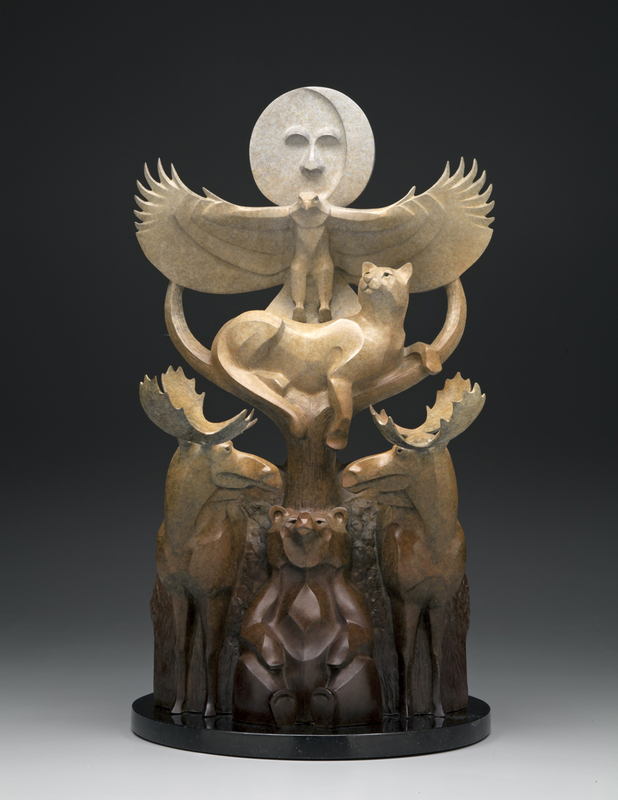 "High Country Totem" was given the "Fine Arts Center Award" at the 2015 24th Annual Juried Art Show at Breckenridge Fine Arts Center, Breckenridge, TX. During the Society of Animal Artists 54th Annual Exhibition at The Wildlife Experience in Parker, CO, "Breaking Trail" was chosen by the Hiram Blauvelt Art Museum to purchase for their permanent collection in Oradell, NJ.